This year, one of our family’s main goals is to simply BE HAPPIER. I know that one of the biggest ways to be both happy and healthy is getting better sleep. As a mom, I know it all too well: good sleep is hard to come by with kiddos. But there are a few tried and true things that I’ve done with my kids (four years old and four months old) that have worked for us. I thought I would share a few of my favorite tips, and a couple miracle products, that might help you get better sleep in the new year. White noise. If you don’t have a fan running, a white noise app playing, or a sound machine raining in both your and your kids’ rooms, you have to start. My husband and I use a table fan on low to drown out minor noises while still allowing us to hear any emergency sounds and our kids on the monitor. My kids both have at least two white noise machine combinations going on in their rooms anytime they are sleeping. It makes a world of difference. Darken your rooms. Everyone sleeps better when the room is as dark as possible. While your kid may like a nightlight, once they are actually asleep they will sleep longer and better if no sunlight gets in alerting them that the sun is out, it is no longer night, etc. Keep rooms on the cooler side. Both of my kids sleep better when the rooms are between 66 and 68 degrees, rather than into the 70s. Be consistent with bedtimes and bedtime routines. While it is hard to always get them to bed on time, being consistent is key. Sure, you can keep them up later for a special occasion. But most kids thrive on a set bedtime, and it is often better earlier than you would think. Both of my kids are in bed between 7:00 and 7:30, and they sleep almost twelve hours a night and take naps on most days. Sleep begets sleep. And I find that a bath, book, bed routine works well for us (although I do bath, book, nurse, bed for the baby). 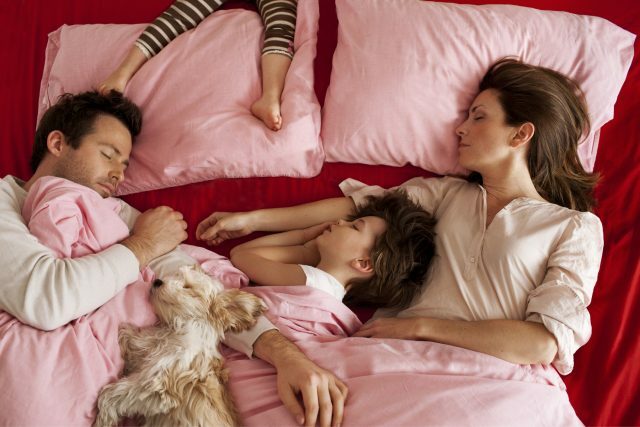 Sleep training and not co-sleeping. I know people are going to yell at me about this, but I’m just sharing my experience. (Many of you might be totally happy and rested co-sleeping, and if that is working for you, you don’t need these tips anyway.) I have sleep trained both of my kids in some form (although I do truly believe I was blessed with naturally good sleepers), and it has worked wonders for us. I think every child needs help learning to sleep in some form. For many, sleep training (sometimes involving letting them cry it out a little) does work. Additionally, I have never co-slept with either of my kids. They sleep in their own beds. While I would absolutely love to cuddle and sleep with them, I think I’m doing us all a better service by allowing them their own space to sleep, and giving my husband and myself our own sleep space as well. Incorporate lavender into your bedtime routine, whether it is by using an all-natural lavender bath product, putting lavender essential oils in a special diffuser, or giving a light massage with a baby oil or lotion containing lavender. Aside from the general tips above, there are a couple of products that have been really great in helping my kids sleep well that I thought I would also share. For babies that are swaddle age, I cannot recommend the Ollie World swaddle enough. 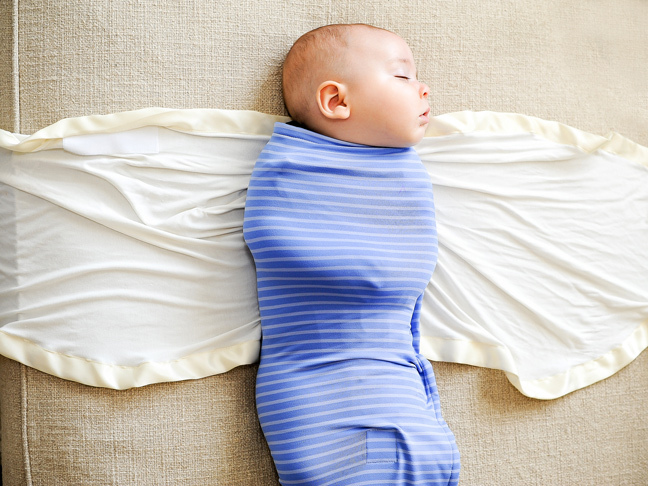 It is the only swaddle my baby cannot bust out of, and it keeps him feeling cozy and secure. It is also ridiculously easy to use. I have recommended it to all of the expecting parents I know since I discovered it. 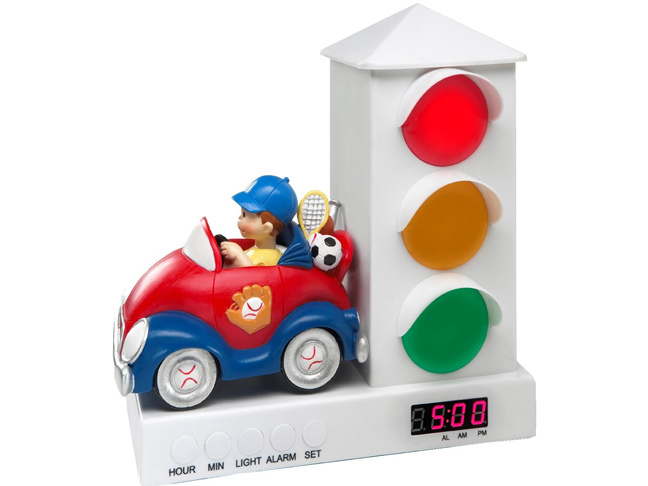 And for toddlers and preschoolers I have to recommend the It’s About Time Stoplight Clock. We got this when my son was still in his crib, but we knew we would be transitioning him to a big boy bed soon (he was not quite three years old). He is now over four and still uses it and follows it. You can program the light to be red when they need to stay in bed and sleep, and when the light turns green it means they can wake up. My son took to it right away, and while he sometimes calls out to wake up before the green light comes on, he almost always sleeps until green for both nap and night sleep. It’s brilliant. 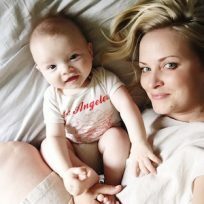 I also share sleep tips on Instagram as my baby transitions to new sleep phases or when I find a new miracle product I love, so feel free to follow along for addendums to these tips. And good luck getting better sleep this year! Have a great sleep tip or miracle product that has worked for you? Share in the comments.